GoodandBadPR: Down with school but up with burgers! A Burger King sauna has opened up in Helsinki, Finland, with a capacity of 15 spaces, along with showers and locker room. Fully branded, fully tech-savvy and fully staffed, you can now sweat off the calories whilst tucking into a whopper and fries. What’s not to love?! Blue, white and red themed, the sauna even has BK towels and robes for you to use whilst you’re there – although there is a £25 fee for each robe and towel that goes missing. I’m currently booking my seat on the plane over to Finland, who’s with me? We can book the entire sauna exclusively for 250 euros, for as long as three hours – so all I need is 14 hands! Who’s in? Designed by 1 Rebel, the ‘Ride 2 Rebel’ bus is due to be launched within London later this year and gives commuters the chance to attend a spin class on the bus whilst heading to work – it’s great for those who don’t have time for the gym before or after work, instead squeezing it in during the commute. Conventional bus seats will be replaced by cycle machines, so anyone not wanting to work out on their commute will be advised to stick to the normal buses, or jump on the tube. I can’t wait for this to expand to my neck of the woods; I can squeeze in a 5-10-minute workout on my way to work. It may not be a full hour, but it’s better than nothing. 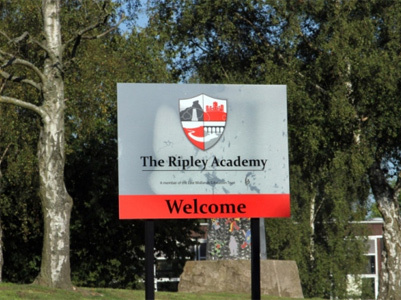 The Ripley Academy in Derbyshire has come under fire recently after it emerged that extra-curricular classes were put on by a substitute teacher titled ‘Bikini Body Fitness Classes.’ Now we’re all for children in school getting in some extra sport, health and fitness, but to call them this is not only objectifying female students, it’s also putting them under pressure that they just don’t need. It’s important that we remember that the images of celebrities we see online and in magazines are heavily photoshopped – that kind of perfection is almost always impossible. Besides, to be bikini ready all you need is a bikini…. put it on and hey presto, you’re bikini-ready. Alongside this, there’s been uproar up and down the country following the start of the Year 11 GCSE’s – in particular, against examining board AQA. Thousands of students sat down Tuesday 17th to begin their GCSE’s, with the first exam being Biology, only to find that most of what they had studied and prepped for wasn’t on the exam paper. Instead of the menstrual cycle, the human body and vaccines, they were being asked about what the alcoholic drink of choice was for 15 year olds, how rats coped whilst intoxicated by alcohol and, altogether randomly, about independent businesses. Students are understandably annoyed; can you imagine spending a whole year or two learning certain subjects ready for your exam, only to find they want to quiz you on something completely different? And parents too are understandably annoyed; why would an exam board promote underage drinking? Many around the country are worried that they’re going to fail the exam and are calling for AQA to give predicted grades instead of exam paper grades.